Are you struggling to pick the best WordPress translation plugin to help you create a multilingual site? Well, it’s a difficult decision to make because it’s hard to switch plugins down the road, so you want to make sure that you get things right from day one. To help, I’ve collected six of the best WordPress translation plugins for you. For each plugin, I’ll list its key features and try to share the pros and cons of how it handles WordPress translations. Do You Want Manual Or Automatic Translation? What’s The Overall Best WordPress Translation Plugin? Manual translation: You’ll need to actually write each individual translation, or hire someone to do it for you. It’s more time-consuming and expensive, but it ensures that your translations are perfect. Automatic translation: Your site will be automatically translated by a computer. Kind of like how Google Translate works. It’s easy and fast but can lead to errors and weird phrasing because computer translation isn’t 100% foolproof. You can also adopt a hybrid method where you translate your site automatically and then go back and manually fix any errors. Some of these plugins let you use both methods, while others are more focused on just one approach. You should make sure to pick the plugin that fits your unique needs. I’ll make sure that it’s clear which method(s) each translation plugin supports. Weglot takes a completely different approach to WordPress translation. It can be a little expensive depending on your needs, but it’s also very convenient and has some great time-saving features. 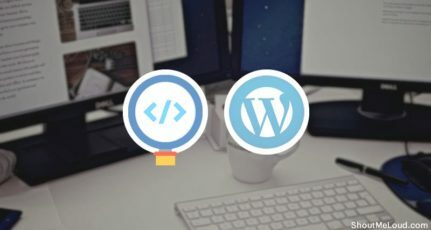 You connect your WordPress site to the cloud-based Weglot service. Weglot automatically translates your entire site using machine translation. You can manually edit the machine translations in the user-friendly Weglot cloud interface, or you can outsource manual translations to professional translators. Weglot translates 100% of your site, even including little details like your Yoast SEO meta titles and descriptions. And it also creates an SEO-friendly URL structure that Google can crawl and index. It’s the most user-friendly translation plugin you’ll find. The setup process is quick and painless. You can have a fully translated site in just a couple minutes. Then, all you need to do is manually correct the translations, if desired. The Weglot cloud interface makes it very easy to manage your translations and/or outsource them to professional services. The only potential con is the price. Because Weglot uses SaaS billing, you have to continue to pay to use the Weglot service (whereas many other translation plugins are one-time fees). Weglot offers a limited free plan that lets you translate up to 2,000 words into one language. After that, paid plans start at €9.90 per month. WPML is one of the most well-known WordPress translation plugins. Despite available only in a premium version, it’s massively popular and comes with tons of features to help you create a multilingual site. So how can you actually translate your site’s content with WPML? Well, the default focus is on manual translation. But it’s also possible to automatically translate your content with WPML. Create special translation users at your site if you want to hire your own translator. Connect to external translation services right from your dashboard. If you choose an external service that offers automatic translation, you can automatically translate your site that way. WPML’s price starts at $29. But I highly recommend the $79 Multilingual CMS plan if you’re serious about creating a multilingual website. Active on over 400,000 sites, Polylang is one of the most popular free translation plugins at WordPress.org. The translated versions of your site are also SEO-friendly and indexable. The only downside is that you’ll need the Pro version if you want to translate slugs in your URLs. As for translation methods, the core Polylang plugin only supports manual translation. But if you want to automatically translate your site, you can integrate with the separate Lingotek Translation plugin (from the same developer) to get access to automatic or professional translation. At least in its free version, GTranslate is much more basic than any of the other plugins on this list. Instead of creating a separate multilingual version of your site, it lets you add a drop-down widget with country flags where users can dynamically translate your site using Google Translate. If you want the Pro version for those extra features, plans start at ~$65 per year. Just one thing I don’t understand is, why they are not using SSL yet. By the numbers, Loco Translate is the most popular translation plugin at WordPress.org – active on 700,000+ sites. It’s not quite the same as other plugins, though, because it’s more focused on localization than providing full content translation management. That makes it a good option for translation, but not necessarily for creating a multilingual site. For example, there’s no language switcher. Instead, it’s more focused on helping you localize your site. For example, it makes it easy to translate all the text in your theme into your native language. For those reasons, if you just want access to translation to localize your site, rather than create a full multilingual site, Loco Translate is a great option. Finally, TranslatePress is a comparatively new freemium translation plugin that sits kind of between something like WPML/Polylang and something like Weglot. That is, it offers a lot of the convenience of Weglot, but inside your WordPress dashboard and for a one-time fee. All your different translations are also SEO-friendly, which means they get separate URL structures and Google can crawl them. TranslatePress supports both manual and automatic translation. If you opt for automatic translation, TranslatePress uses the Google Translate API. The free version is a great option if you just need a basic translation into a single language. But if you want more control over SEO and access to multiple different languages, you’ll need one of the pro plans which start at €79. I don’t think there’s one “best WordPress translation plugin” for every single site. Instead, it depends on your needs and budget. If you’re willing to spend some money, Weglot is the easiest and most convenient option. 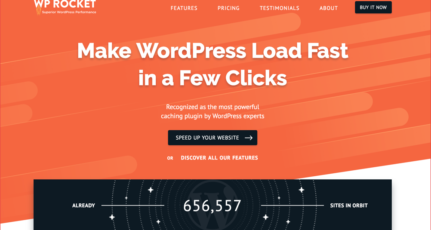 If you want a one-time fee plugin, WPML is the gold standard. And if you’re looking for a quality free plugin, I like Polylang and TranslatePress. Do you have any other questions about these plugins? Or would you recommend a different WordPress translation plugin? Leave a comment! Wao Harsh ! I really needed it. Do come back and share your experience in terms of traffic and overall growth after translating your website into other languages. It would be great to learn from your experience. 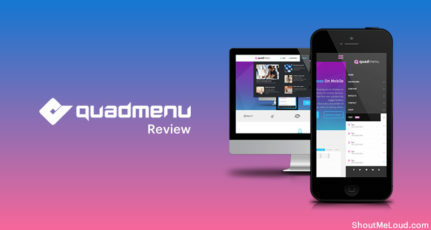 If you have done the extensive test, you can also share your experience as a guest post here at ShoutMeLoud. Thanks for sharing about these plugin today I learned some new knowledge from this post. keep sharing such as like this informative article. may be these plugins may help me when after getting success in English language i will move to other non English speaking countries. While talking about audience we should have this thing in our mind that worldwide majority of population is non English speaking. Translating your website definitely helps to get more readers for your blog. Weglot is a robust website translation tool and its flawlessly translate your whole website content and gives good reading experience. I have tested it on some of my development sites and the results are highly productive. I will be launch it on my live sites soon. I think WordPress just keeps getting better. Having people read your site content is different languages is very fantastic. Being multilingual you have more visitors and readers. I guess you have forgotten Genesis Translations by Remkus de Vries. It’s a simple plugin that translates perfectly to danish for example. Though it is made for the Genesis Framework, if one is using this, it is a very good plugin. Thanks for the recommendation and the reason I have not included this plugin is that this plugin translates the text strings of the Genesis Framework. This plugin does not translate your content (post/pages). Great list of plugins. of all the plugins discussed here, I think WPML looks good to me. It has good features. Though it comes at a price however it is worth paying if you are getting quality products which helps you moving forward.